A Taiwanese fan Mrs Ma not only met Michael with her family, but also she became a close friends of Michael for many years. Mrs Ma had always kept a low profile about their 17 years family friendship with Michael Jackson. It was until Michael's sudden passing last June, did Mrs. Ma have spoken out for the first time about this in the media about her friendship with the King of Pop. She pays tribute on how kind, loving and approachable the King of Pop was. She shared her memories of an extraordinary friend and how she felt that Michael was misunderstood by many. It was a fax message that leads to the friendship between Michael and the Ma Family. During the Dangerous Tour in Taiwan in Sept 1993, Mrs Ma and her husband had trouble of getting tickets for their nine month old twin daughters for the concert, as ticket will not be allowed to be sold to their 9 month old babies for safety concern. Ma wouldn't settle for it, as it was going to be the last day of Michael's concert in Taiwan. She decided to give it a try and send a fax message to the hotel that Michael was staying in. She directly address the fax message to ask him asking him to allow her twins to go to the concert. She didn't really expect that Michael would see it, next thing she knew was that Michael did read it and responded to it. He immediately sent down VIP passes for the family to be able to come to the concert and to meet him personally in his hotel room after the concert. When the family arrived at his Presidential Suite, Michael was already in his pajamas, ready to go to bed. They find the superstar very kind and approachable, Ma recalled that he was so fascinated by the twins, he wanted to know everything about bringing up babies. The twin babies were crawling around in his room, at one point, one of the twins grabbed his CD player and started to bite it, Michael immediately went to pick up the baby and softly he said to her "Don't bite it, It'll hurt you." 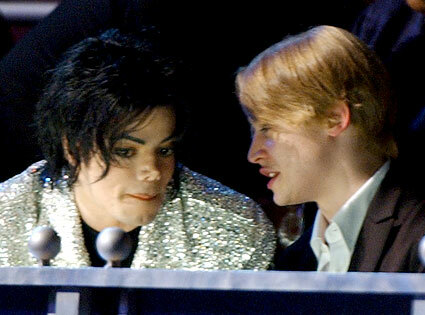 Ma recalled that Michael was not yet a parent during that time but was very protective of children. When they said goodbye, Michael personally escorted them off to the elevator and promised to invite them to come and visit him when he returned to America in his home Neverland. Ma family never took his words seriously, but Michael meant it! 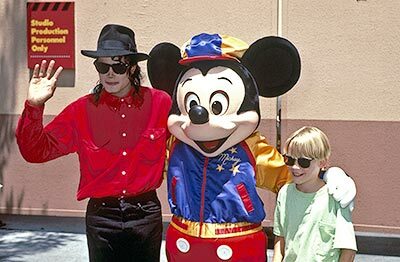 During the 17 years friendship Michael had with the Ma Family, the family had been able to visit 6 times as guests at his Neverland home, and even travels with him to other parts of world. Every time they said goodbye, he would cuddle them with words like "I'll always love you". He would seemed just simply wanted to be loved. Michael adored the twins, when he returned to Taiwan for the History tour in 1996, he invited the twins for an appearance to " Heal the world " Song with him on stage. He even invited the family to follow History tour with him. The twins was also featured in "Heal the world" in Durban, South Africa and it was said to be his last concert ever. Michael had confided to Mrs. Ma things like his iconic sequins glove, was first used to hide his skin problem vitiligo that first appeared on his hand, and the glove had surprisingly become his signature trademark. Michael even referred himself as Chinese, as according to Michael, his mother Katherine was of a quarter Chinese descent. 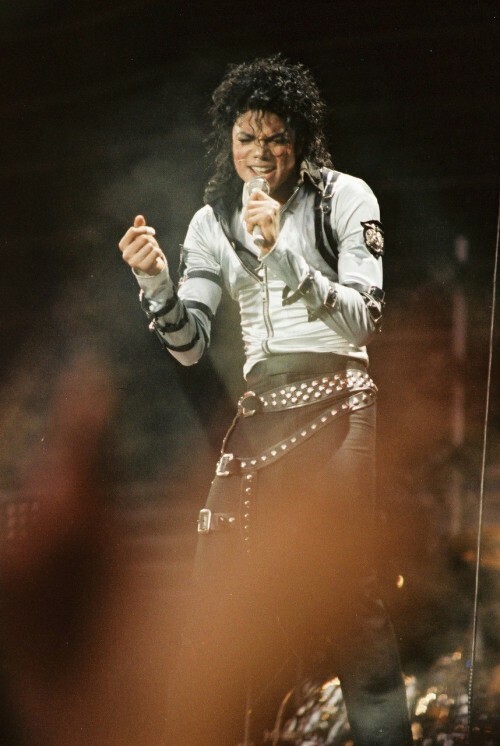 Michael did often expressed his strong desire to perform in China. According to the the Taiwanese concert organizer Mr. Yu, during both his Dangerous and History Tour in Taiwan in the 90's, Michael asked for his help to perform in China, though Yu did his best, During that time China was not yet ready to open up to Western pop performers. Ma had seen the very sincere side of Michael, pure and innocent, like a big kid, love surprises, magic, very compassionate, very trusting and very caring. She hoped that by sharing her story, the world would know the true nature of Michael. The world not only lose a musical genius but a beautiful soul. Below is the link of the video that apparently was sent by Michael to the Ma family after the History tour, featuring the Ma twins with Michael singing "Heal the World" in Kaohsiung, South Taiwan. Towards the end of the song, MJ made an effort to say "I love you" in Mandarin to the audience. nice tribute *okay* emotional nga yung MITM but the smooth criminal segment was so cool!! Good morning guys! Ang cute naman kasama nya mga twins. SECONDS earlier, they had been excited about a trip to London to see their dad make the greatest pop comeback in years. But as the clock struck 12.15pm on Thursday, June 25, last year, Michael Jackson's three children stood in horror as they witnessed their music-legend father's tragic death. And the woman who was at their side during their dad's last moments - the family chef Kai Chase - has now told how she calmed them as they screamed in shock. "It was as if a hammer had smashed the sun in and everything turned black," said Kai, 40, in her first-ever newspaper interview. Paris and Prince had burst into their father's bedroom and witnessed Dr Conrad Murray performing emergency resuscitation on Jackson. And in the 15 minutes between the children being ushered out and the paramedics' arrival, Kai shielded them from the scenes around them. She recalled: "All three children ran to me, crying hysterically. Prince was shouting, 'Dad, Dad, what's wrong with my dad?' while Paris screamed, 'Daddy, Daddy, Daddy,' over and over. "I clutched them to my chest and got them to hold hands with me in a circle. Then I said, 'Pray with me, all pray with me,' and we prayed aloud, asking God for a miracle. "We said, 'Dear God, keep Daddy safe, make this okay.' But I knew - and I think they knew - that he was dead." Kai, who still visits the Jackson children, worked as the family's personal chef in their rented Holmby Hills mansion in LA for four months before Jackson died. Yesterday she gave The Sun the most intimate portrait yet of Michael's last few months with his children. She revealed how the kids still continually play their dad's hits - they love the 1992 song Remember The Time - while Paris endlessly watches footage of her father. Kai recalled: "Paris is a huge lover of animals and nature, so we dug a vegetable patch and snuck out at night with flashlights to gather enough snails to build a snail farm. "Prince, who was then 12, loved to read and was really into movies. He spent hours making animation films using apples in the kitchen. "And Blanket was hilarious. Michael built a movie theatre for the kids and had movie nights for them. "He liked them to watch black and white movies and little Blanket got really into the 1930s gangster film The Public Enemy. "He'd run up to me in the kitchen, pretending to be James Cagney, mimicking his gangster voice perfectly. It was hilarious, especially as he was only seven." Kai revealed that Michael spent hours organising "Daddy Time" with the children - and playing practical jokes on her. She said: "Those few months were so happy. Mr Jackson was an almost Willy Wonka-style father, with his crazy sense of fun." On one occasion the kids beckoned her into the kitchen, saying: "Your boyfriend is here." Kai recalled: "I went in and they had dressed one of Mr Jackson's mannequins. "It was so life-like and made me jump so high. Mr Jackson was hiding behind the chair and jumped out, saying, 'Gotcha!'. He loved practical jokes." Kai also revealed how Paris, now 12, wept tears of happiness after her daddy organised a special party for her 11th birthday - just two months before his death. She said: "Mr Jackson had paid for members of the circus troupe Cirque du Soleil to perform throughout the house and garden. It was magical and one of the security team filmed the whole day. "I know Paris keeps that tape close to her heart and watches it to remind her of her daddy." Kai - who has no kids of her own - said the children were particularly excited about coming to London to see their father perform for the first time. She said: "They had flown over to Britain with their dad when he announced the O2 tour and had loved it. "Mr Jackson loved the UK - he told me he had a huge place in his heart for the country, the Queen, and the music there. "He loved fish and chips and wanted the children to try shepherd's pie. London was one of his favourite places on earth. "And in the last week before he died he had British theme nights for the children. "Rolling Stones and Beatles songs were played in the kitchen, which Prince loved, as he's a huge Stones fan. "The kids spent hours talking in Cockney accents and were competing for the best Cockney voice on the morning he died. Blanket kept saying, 'Top o' the mornin' to you,' over and over - which is obviously Irish, but he didn't seem to notice." Kai saw Jackson get increasingly tired in the last few weeks before his death and said: "There were a lot of people behind the scenes - business types - putting pressure on him, I think. "He looked tired and the training was hard - but he still found endless energy for the children." And she revealed the kids have given her what they call a "Box Of Happiness" - a shoebox holding a stack of their letters, thanking her for cooking, bringing gifts and being their friend. She said: "I'll keep these letters close to my heart for as long as I live. They're incredibly special." ^naguluhan lang ako though.. Kase yung una nyang sabi dati is that hindi naman daw umakyat ng kwarto ng daddy nya si Prince, tapos eto ngayon. Oh well, thesun [tabloid] naman kasi galing tong article. But then again, since day 1 andami naman nyang sinabing positive about Michael, so, yeah. ^Yep she's been very nice to Mike and the kids.. 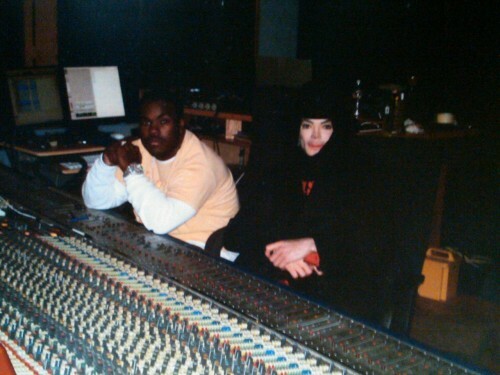 Older Mike in the studio y'all! :love: HNNNNNNNNNNNNNNNNG! Wends, aside from the tributes, ano pang happenings dyan sa atin nung 25th? Have you guys seen the cebu inmates' tribute to Michael? They did it on the 26th. that isn't an upload from the official cpdrc channel though. ..but I've never seen this before! Look at him looking so cute as fvck. :blushing: His curls are killing me!! !